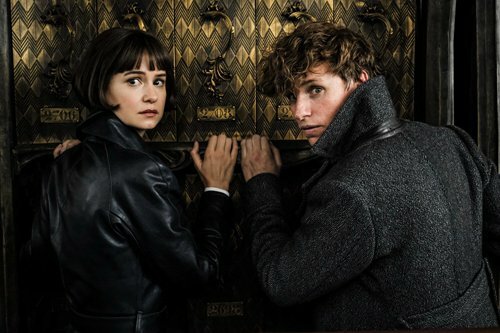 Again confirming the magic touch of J.K. Rowling, Fantastic Beasts: The Crimes of Grindelwald took in an estimated $62.2 million this weekend to lead North American box offices, industry tracker Exhibitor Relations reported on Sunday. 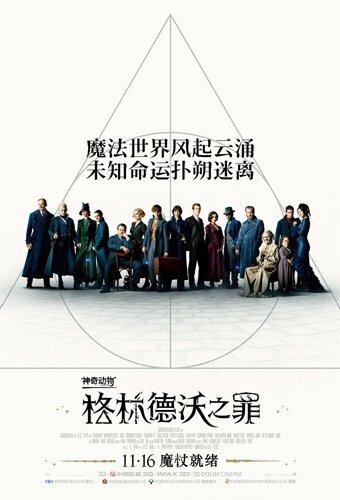 This second Harry Potter prequel came in slightly behind the first Fantastic Beasts movie, which earned $74.4 million in its opening three-day weekend, but it has already scored an impressive $253.2 million overseas. Warner Bros plans three more Beasts movies. Written by Rowling and directed by David Yates, Grindelwald stars Eddie Redmayne as Newt Scamander as he works with Albus Dumbledore (Jude Law) to take down the evil Gellert Grindelwald, played with typical panache by Johnny Depp. In a rare weekend when neither horror nor superhero movies dominated, second place went to family-friendly The Grinch from Universal, which tallied $38.2 million. In third spot, with $15.7 million in ticket sales, was Fox's Bohemian Rhapsody, the foot-stomping biopic about Freddie Mercury and rock group Queen. Rami Malek has drawn strong reviews for his portrayal of the British singer/songwriter. Fourth went to new Paramount release Instant Family, starring Mark Wahlberg and Rose Byrne as a married couple who take in three foster kids over the holidays. It earned $14.7 million and has drawn an "A" rating from audiences polled by CinemaScore. In fifth was Fox's Widows, at $12.3 million. Directed by Steve McQueen of 12 Years a Slave fame, it stars Viola Davis, Michelle Rodriguez and Elizabeth Debicki as a group of women who try to pull off a heist after their husbands are killed in a botched robbery.